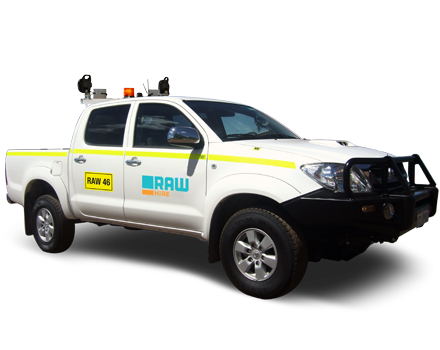 Raw Hire only stock a late model air-conditioned fleet of vehicles. 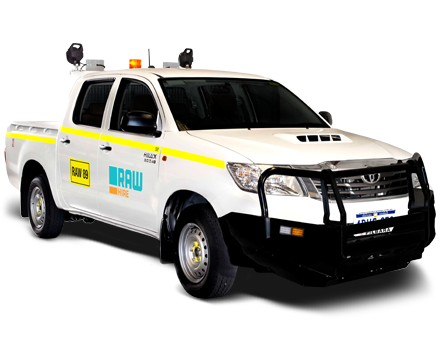 Our light commercial range are predominantly Toyota, all pre-checked before your hire and again at the end of your hire for your safety and peace-of-mind. 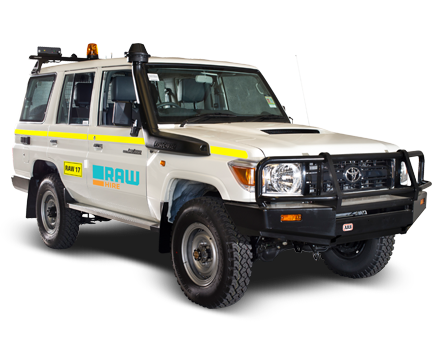 They are all maintained to manufacturer specifications from a dedicated service centre with the experience of qualified mechanics. 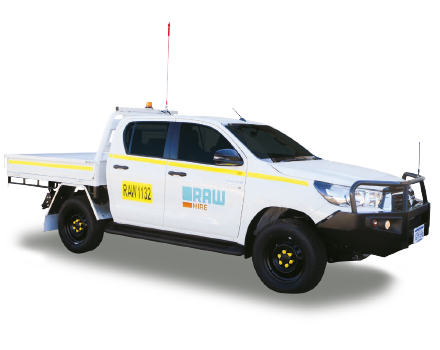 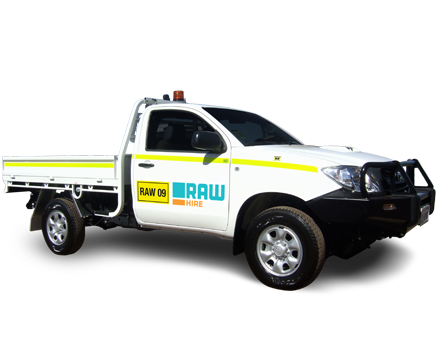 Raw Hire offers a variety of solutions for your hire, should the vehicle you were hoping to rent not appear on this list, please contact one of our friendly staff. 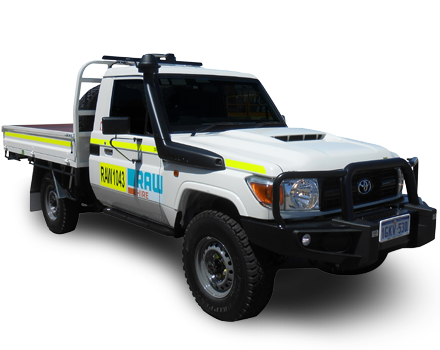 These light commercial 4WD, wagons and utes can be fitted for any mine specification and can be hired from Karratha or Welshpool or mobilised anywhere across Australia, subject to availability. 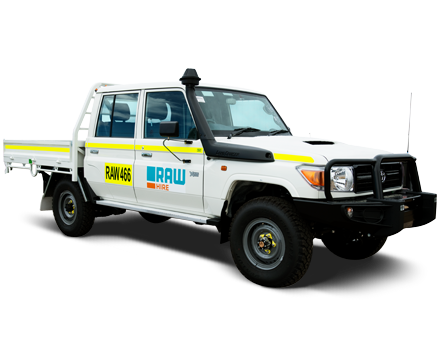 Meeting all the demands of the outback environment and resource projects, the double cab chassis Landcruiser has a 4.5L V8 turbo diesel engine, halogen headlamps and 130L fuel capacity, all the makings of the best hire yet. 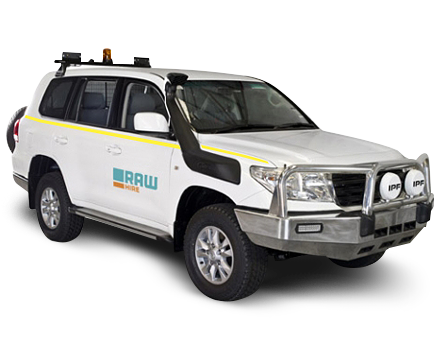 Offering all of the feaures of standard one-tonne utility, the Landcruiser 70 series tray includes a sleuth of extras to assist on your next job. 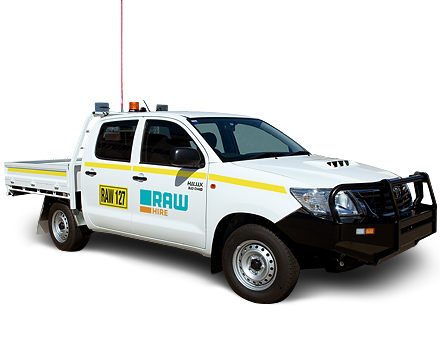 The steel body and V8 turbo diesel combine to grant you all the power needed and with a roomy interior, you know you'll be comfortable even in the longest tasks.